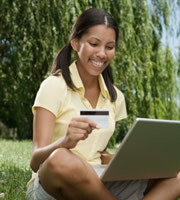 Thinking of racking up airline miles or getting cash back by paying your taxes with a rewards credit card? You could, but think again, because you'll pay more in fees than you'll earn in rewards. Say you owe $4000 in taxes and want to pay by credit card. Given the service charge, you would actually pay $4097.95. So, if your goal was to earn rewards, you'd be paying almost $100 extra to gain only about $40 worth of rewards. Why is the IRS charging a premium for credit card tax payments? They're not, really -- but to understand why, you need to know how a normal credit card transaction works and how an IRS payment is different. Say you go into a store and buy something that costs $100 with your credit card. Although you're paying $100, the store you're buying from might only get $97 or $98 of that money -- they're paying two or three percent to the credit card processor and your card's issuing bank for the convenience of accepting your credit card. In other words, the store is willing to eat a small chunk of the sale in order to allow credit card purchases. They do this because they know you're likely to buy more where credit cards are accepted. The IRS, on the other hand, is not interested in paying fees to accept credit cards as if it was a retail merchant. In fact, it can't. As stated on the IRS Web site: "The Taxpayer Relief Act of 1997 authorizes the Treasury to accept credit card payments for federal taxes but prohibits the IRS from paying a fee or consideration to credit card companies for processing these transactions." So the IRS farms out the credit card transactions to third-party merchant processors. However, since the IRS won't pay the credit card companies that two or three percent that a retailer pays, guess who does? You -- in the form of the 2.49% fee. Of course, that extra fee isn't the only reason to avoid putting tax payments on your credit cards. If you're not prepared to pay off your tax bill when it shows up on next month's credit card statement, you'll be paying a whole lot more when the credit card interest kicks in. 2 Responses to "You Can Pay Taxes By Credit Card; Here's Why You Shouldn't"
I just paid $6000-plus is real estate taxes with my Amex Gold Card, but the points never showed up. The supervisor said no points for paying taxes is covered by the terms and conditions. Oh, it does not say taxes, it just says no points for "balance transfers." Said the woman, "it is paying debt with debt," so no points. What? I pay my card off every month. To me the words "balance transfers" does not cover paying property taxes. What think? What a bummer! My guess is that AmEx considers a property tax payment to be a cash advance and not eligible for points. CardRatings has a user forum (www.cardratings-dot-com/forum) where you could post your story and see if others have run into the same problem or found a workaround.